On Saturday, we lost of one America’s finest songwriters and most prolific pioneers of independent music. Jason Molina died of organ failure due to alcoholism on Saturday, but it wouldn’t become known to most of the world until yesterday. His immense and intense catalogue of music caught momentum under the Songs: Ohia moniker from 1997 til 2003 and continued on as Magnolia Electric Company. If Songs: Ohia was his Neil Young, Magnolia Electric Company was his Neil Young and Crazy Horse. Constantly keeping his audience guessing, he also recorded under his own name, Pyramid Electric Company, Amalgomated Sons of the Rest and did a collaborative recording with Centromatic’s Will Johnson under the name Molina and Johnson. Through his various projects, Molina made some of the greatest records of the late 1990’s-2000’s. Didn’t It Rain and Magnolia Electric Company remain among my favorite emotive and cathartic records of all time. The pride of the Secretly Canadian record label and independent music in general, I was happy to hear them when they came out, and have always held them close and dear through the years. I paid tribute to Mr. Molina yesterday listening to almost his entire catalogue and noting its continuing progression. While the songs maintained their inherent sadness combined with a certain stoicism, they seemed especially haunting and all the more chilling. As an homage to Molina and his fans, I dug up the first story I wrote about Songs: Ohia back in 2002– just after he released one of his greatest works, and just before he changed his sound all together. The following interview is unedited and hopefully pays tribute to this truly important songwriter. Our hearts go out to his friends and family……. work when it comes to touring time. How often do you play solo? I don’t have any set percentage of times I show up on stage with a band or not. I have to sometimes consider the impracticality of bringing a whole pack of musicians to remote places. It helps that since I started out people have come to the shows not expecting one or the other. In Boston I will be alone this time. I read somewhere that Didn’t it Rain was all recorded live. To what degree were the songs worked out before you met up with the players? Was there much practicing or was it more spontaneous? We never practiced those songs. I would show them the chords and most of the time we didn’t even have to listen to me singing the whole thing. The complexity in those songs is in their “tone” not so much the note-by-note delivery of them. How often are your albums created with the same spontaneity? I just work day-by-day at these records. Usually within three days it should all be done, much more than that it starts to fall apart. I like to think that strengths in these recordings lie in whatever elements cannot be re-done. in the conception of an album? Where was this one recorded? Didn’t it Rain was done in an old brick building in Philadelphia. 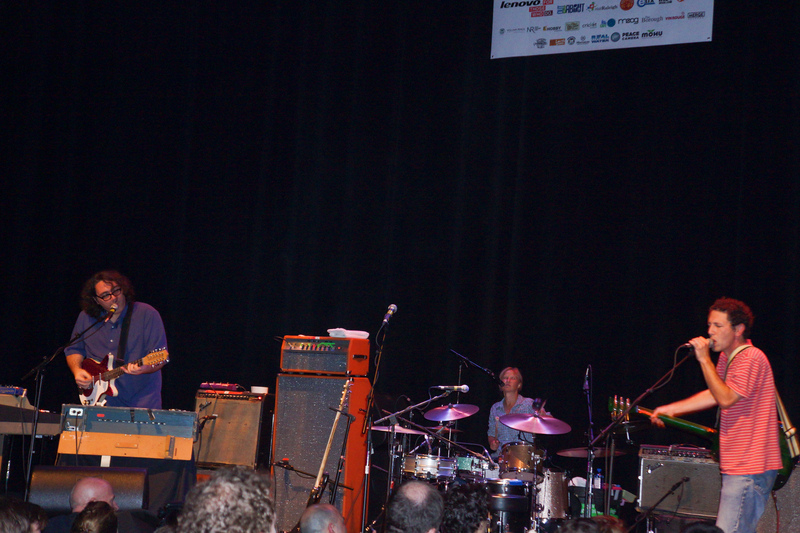 The Magnolia Electric Company [the upcoming LP] was done with Steve Albini in Chicago. The location, specifically the rooms where we did each of these recordings was important, but not more so than the assemblage of players and engineers who know what they’re doing. Your albums each have a different feel, but the songs on each album are cohesive. Is that a conscious thing? I try to get a good family of songs together and the thread of music or lyric that seems to be the binding element is what I try to feature in the recording of the LPs. I’m assuming Didn’t it Rain’s cohesive element is Chicago life. Well, the Midwest. You can’t run out of things to say about all that grey. How has your songwriting changed since you moved to Chicago? I live most of the time in the Midwest, so I wouldn’t notice anything dramatic about the influence of Chicago in particular upon the songs. When I wrote Ghost Tropic I attempted to take the theme of being lost, dislocated, way out past the boundary and put it into a record. I then concentrated on putting a foot down and saying something about finding a place, you understand? And then the two new records coming out The Pyramid Electric Co. and The Magnolia Electric Co. are working out the people in the place. Talk a little about the upcoming records. I heard it was just going to be one record stripped down and now it’s destined to be two records featuring a whole cast of players. The Pyramid Electric Co. is just coming out on vinyl and it’s me alone in a room with an electric guitar mostly and a piano. It has a depth to it that I was very pleased with. Sonically and lyrically there seemed to be a great reaching to get something done which I had not been able to do before. A short while after that comes out, the other songs I did with [Steve] Albini will come out as The Magnolia Electric Co. And that one is with a 10-piece band playing live, it really isn’t like anything else I’ve done. It has elements of straight Nashville circa 1960, the first Jackson Browne record, Harvest and 1950’s American guitar, especially Link Wray’s guitar tone turned down. . . I ain’t kidding. On the new record I found people to sing the leads on some of it. I just sit out and let them go. It’s educational to hear the way Albini recorded each of the different singers and made it all sound. You’ve done a bunch of 7″s in your day. Talk about the magic of the 7″. There is nothing like it. I suppose I have done about 15 of these maybe, and this year I am doing quite a large project involving 7”s only. I am doing the next set of releases as Jason Molina. Since the Magnolia Electric Co and the Pyramid Electric Co. were trying to change things, I need a way to ease into being something that is not Songs: Ohia. This new 7″ project is one where I do my new record over the course of a year with about 6 different labels and each record comes out as a Jason Molina record and I’ll have some theme which ties them all together. Then I am sending out the masters to various labels of my own choice and submitting them like the old days, seeing who will be willing to put them out. 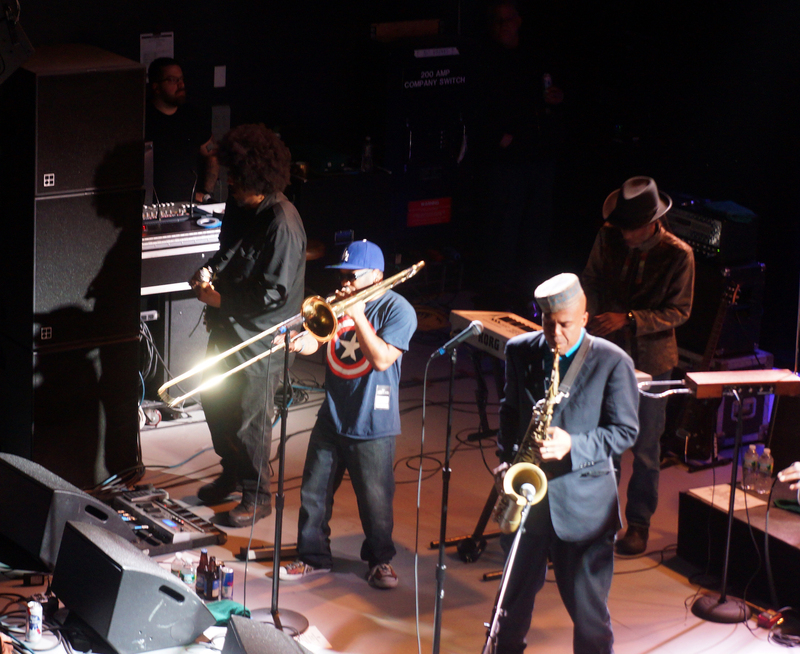 From punk to funk, ska to hard rock, Fishbone is a band defined by its diversity. While their genre-jumping would go on to influence countless bands– many of whom would go on to superstardom– it became a self-induced curse for them as pioneers. The lack of a centralized sound eventually grew unappealing to record companies. And that’s when things started to go wrong. Shown explicitly in the 2011 documentary, Everyday Sunshine, the Laurence Fishburne narrated film comes complete with tip-of-the-hat respect from big names, but in the end, the movie is about struggle and perseverance. Following the band through its mile highs and tragic woes, the struggle to “break through” is only compounded by power struggles and the constant departure of band members. 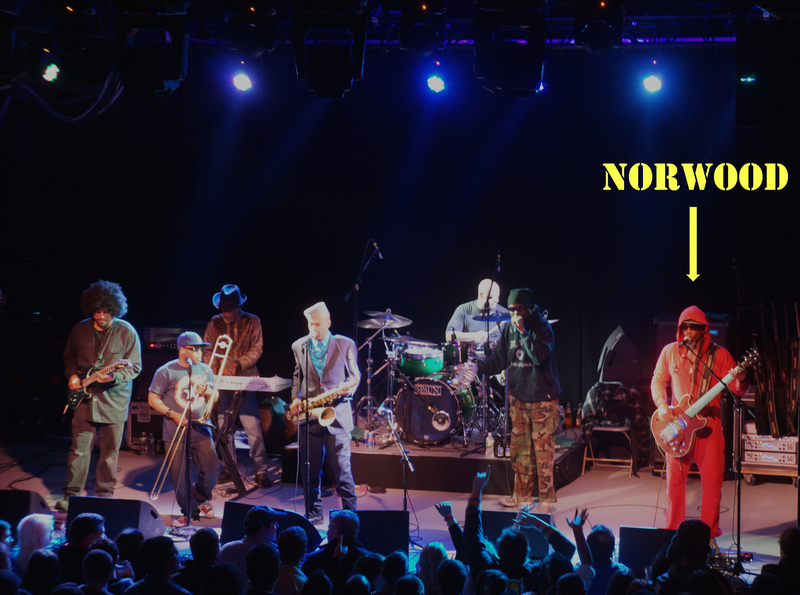 I was lucky to catch up with “Norwood” over the phone from his Long Beach home as he prepared for his upcoming US tour. The following interview is unedited, and the photos and video clips are exclusive and taken from their March 3, 2013 show at the Sinclair in Cambridge, Massachusetts just a few weeks after our chat. Enjoy! Hey this is Nolan. How are you doing? So when does the tour get under way? Did you have to cancel part of the European tour? Yeah. That was last year. We had to cancel last year’s tour because of Angelo’s unfortunate staff infection situation. So, I watched the documentary “Everyday Sunshine” last week and I though it was very well done. I was curious what your thoughts were on the final product? Ultimately, I think it is honest. That was my initial reaction. It’s honest and accurate to the stories as they were told. It didn’t seem to me like added anything. They got things as they happened and went with them. It’s something I can stand by. There were some big name fans and friends interviewed to help tell the story. Were those all people that you guys knew well and considered friends and longtime supporters? That was the intention. There were a lot more interviews with a lot more people, but the ones that they actually chose, most of them, were people that we actually had relationships with and were pivotal at some point in our career. At some point these people were actually considered friends… almost all of them. 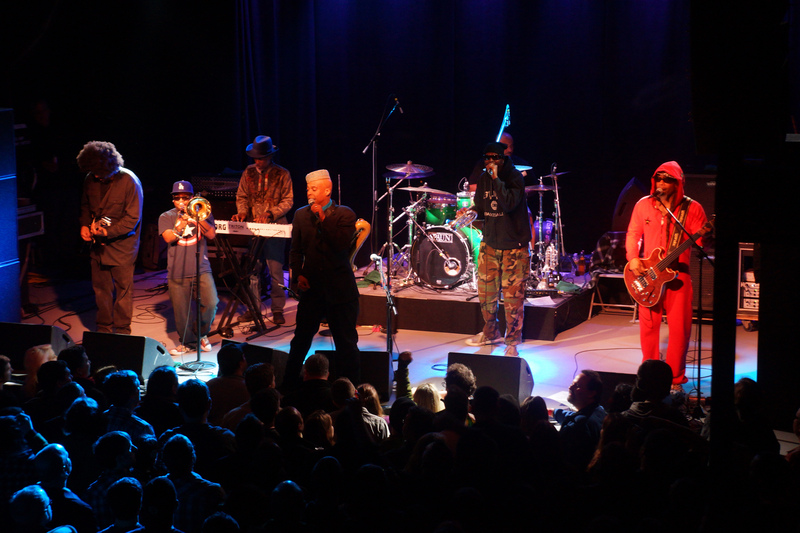 You guys went through a lot of ups and downs, but did Fishbone ever officially split up? No, the band has always been continuing on. The band never stopped. For better or worse, we figured out a way to keep it rolling. Many times it was bad, but more times than not, it was pretty cool. Do you have any person specific highlights from over the years that you hold dear to you? There are a LOT. There is a long, long list of those, but really some of the things like our first club date. Our first club date where we got paid $25. That was an unexpected moment for me. I got called into the office and somebody was giving me money for what we had just did. That wasn’t the part I was thinking about that day. And I was like “Whoa”. You couldn’t do much with that $25, but it was like ‘damn, we got paid for that’. And actually, that place was Madame Wong’s Chinatown, a place that nurtured punk rock. It was like CBGB’s West. That was what it meant for LA punk rock. So, yeah, there’s times like that, and then there are times rolling with different bands. I like to think about the time in the early 90’s when Fishbone and Primus were touring. We were in a stripclub in Atlanta with Les Claypool, right, [laughs] and we went to this black club and all these black dancers were ALL over Les Claypool, right [laughs]… I mean that happened and it was an amazing moment. Girls come in high heels and stripper garb for the time and they take off their shoes and actually sweat. It was amazing. Black strippers LOVED Les Claypool. Do you see any cohesive scene in punk rock anymore– specifically LA punk rock. Is LA even a place where underground punk rock, or music with a message is possible anymore? Or is there less of a time and place for that now. I’ll tell you what man—we, as a nation, as a culture– by in large, I think that those days have passed. What the new emerging paradigm is, I don’t know. You know, punk rock was the last thing that was really scary and bands with a political statement… it’s been so long… because I think the generation that went to go fight in Afghanistan and Iraq missed those opportunities to make those political statements. Those statements were made by people that were too old to have the same stake. People who are 16, 17, 18, 20 years old were not the ones writing the protest songs. When Green Day started doing their political thing, they were out of that age ring. And I appreciate everything they had to say, but there were bands I was looking for it from. They were the ones who, if they didn’t go to the front lines, their friends were—their high school buddies, their uncles, their aunts, their brothers, sister, parents, whoever– were the ones doing it. And they didn’t by and large speak of their concerns. It may have been the climate around 9/11 where you’re either with us or against us. That kinda drew a line in the sand, you know. When I think about it, the very first people that I saw stand up and say– whether you believe it or not– but they did suppose the question that they think it was an inside job, was the Black Eyed Peas. I was like, ‘Whoa’. A lot of people we thinking it, but no one was saying it. That’s where it came from. Not the 18 year olds who could have been in that war—they were out of that age ring. So, anyway… I think that that time will come again, but right now there is something happening politically that is pretty amazing. The Right is out of step with the majority of the population. And there’s a lot of conversation about that Right and about the GOP knowing where the fit. I’m one of those people who feel that you DO need both sides. You need that and you need MORE. You need a lot of ideas and I don’t need to agree with everyFUCKINGbody. But again, we live in a time where it would be pretty cool if there were a lot of young people expressing themselves. Like, I don’t with everything Obama says and does, but I like the guy. I like him like I like Bill Clinton. I liked Bill Clinton. It’s the same kind of “like”. I’m not looking to follow anybody or for anyone to express my feelings. But I think it’s great to have a guy who connects and you can tell your kid, ‘hey you can be like that, dude’. Because he’s intelligent. Bill Clinton was like that and Obama’s got the same kind of thing—it’s different, but I like that part of it. I think it would be nice to have some 18-year-olds who can say, ‘hey, my interests are possibly being overlooked,” in a song. So there’s a part in the movie where your former manager, Roger Perry suggests, “Had Fishbone been less of a democracy, they might have been a more successful band. But had they been less of a democracy, they wouldn’t have been Fishbone.” Do you agree with that statement? Yeah, I absolutely believe that statement. There is a point where not everybody in a democracy is speaking about the best interests as a whole. You have some people who are making decisions based on personal feelings. I guess yeah, in a way, we turned into a band that that whoever was screaming the loudest… well, you know… the squeaky wheel was getting the oil. And as I saw it happening, I saw what it was, but I didn’t know how to stop it. I didn’t have the tools to distinguish it exactly for what it is and reason with everybody and say ‘Hey!” We reached that point and that was when… you know. And sometimes in hindsight it all wasn’t bad, you know. Sometimes it was really bad. Can you talk about the initial struggle of people leaving the band and the strain it put on the band. And did that ever make you question if you wanted to leave, or for the band to breakup? Yep! Absolutely, because my respect for the original members was so strong that I didn’t actually honestly think there could be a Fishbone without those original six guys. And the fact that we continued on without them was me breaking a promise to myself. I made a promise to myself that if any of those original six guys ever left, I would break the band up. Well, I broke that promise. And right now, I’m glad I did. I’m glad I broke that promise because it brings us… I got to see that it’s not the same and every change and every band member who left and every band member who replaced them made it different. But, hundreds of thousands of happy faces in the audiences later blessed it. Do you keep up with the former members, or at least some of them? Yeah. Absolutely. If they were all available I would talk to them all. Did you and Kendall ever reconcile the whole lawsuit situation officially after you rescued him from a religious cult? Well it wasn’t a lawsuit, right. It was a trial—a criminal trial where me, his fiancée, his brother and one more person were all facing 9 to 11 years of a prison sentence [for kidnapping]. Personally, me… the fact that I didn’t spend a day in prison for it. We got a full acquittal for it. Was that really Kendall? No, that wasn’t the guy that I know who did that. It just drove his, brainwashing, or whatever. I don’t really know what it was. But it allows me to forgive. However I was feeling, I knew that wasn’t the same guy. It allows me to know that whenever I see that guy, the person who I grew up with, I can get right with that person. What would you say Fishbone’s legacy is and will be, and to what do you owe the band’s longevity? The longevity is really that we were in a very unusual position of having artistic license and full creative expression. That is our legacy. We are the band that opened the door for more people to do that on a larger scale. And as actual people, in the landscape of rock n roll, we made it a little more colorful—in a physical and ethnic way as well as the musical tapestry, so that people could wear their influences on their sleeves freely. In the movie it seems that everyone is interviewed separately and by themselves, and some people seem like they have so much animosity that they can’t even be in the same room as the others. Is that just the interviewing style or is their some truth to it? At the end of the movie it shows you and Angelo expressing your issues with one another, but trying to find ways to meet half way and fix your dynamic. How is that going? And are you guys planning on making more music? You know what? It’s ROUGH. It ain’t easy right. We recorded five songs which we agreed upon to release an EP and then beginning to work on a full-length record. And right now, I’m ready to release those songs and Angelo’s saying he doesn’t want to release them. So I have to sit down with him and ask him why. He agreed to do these things and at one point… more than one point… he said he really liked these songs. So, he’s having a power struggle within his own head, you know. I’m not struggling with him, so it’s like if you don’t want to release the songs then they don’t get released. I’m not going to whine and cry about it. It’s unfortunate, that’s all I’m saying. We’ll see what happens. Other than that it’s been a slow process getting the songs together for the next full-length. I knew that that would be the case, so that’s why I wanted to put together the EP and put something out before working on the full-length. I wanted to take a little time, because as a producer I want it to be EPIC. I want it to speak our future into existence. Right now there is something with Angelo and I in our relationship that is making it difficult. I don’t know what’s going on in Angelo’s head right now. I just want to sit down me and him and talk about and figure out where he’s at. It ain’t easy. I’m assuming playing live is more what defines Fishbone than the recordings. Yeah, like really. I actually like all of it. I like recording, I like…LOVE… live. In the past few years, actually, I’ve been producing records more than any other time in my life. I love being in the studio. I’m going to the studio as soon as I put down this phone! I’m doing this project with members of Mars Volta, P-Funk and Eric Burdon of the Animals. We’re doing a project together and I’m headed to the studio to lay down a bass line and record some rough mixes. I love it all. 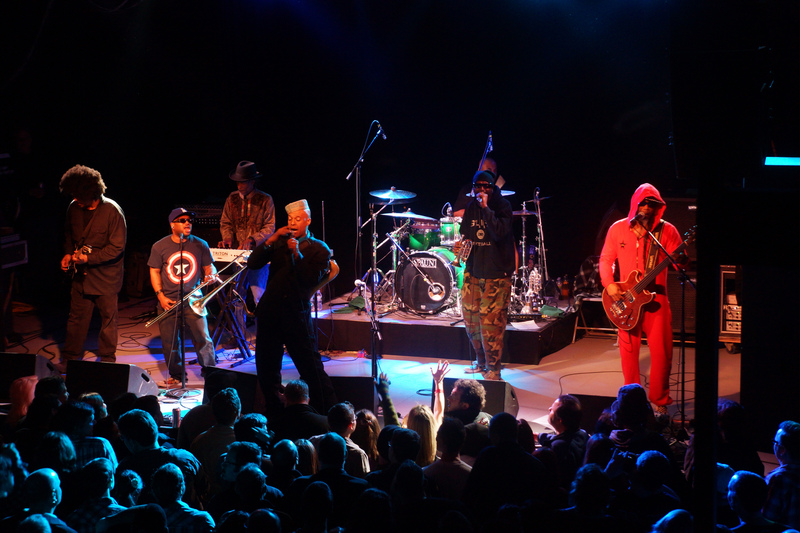 The thing is, with Fishbone, there’s nothing like impacting the audience and looking people in the eye and seeing the joy and seeing the dancefloor do what you imagine it could be. There’s a moshpit, people skankin’, girls winding it up… it’s all lovely. As Yo La Tengo closes in on 30 years as a band, the trio has secured their name as one of the most beloved and longstanding survivors in indie-rock. 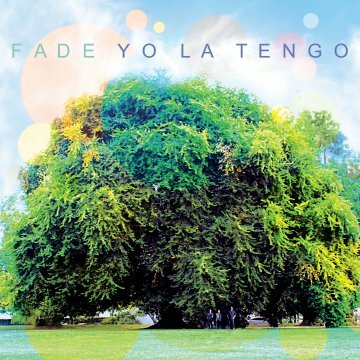 While most of their contemporaries have already broken up and launched reunion tours, Yo La Tengo continue on their sonic journey without interruption, and with a legacy and longevity revolving around consistency— not so much a consistency of sound, as much as providing a standard in making great, timeless records that will go down in the permanent lexicon and discography of indie-rock music. Beginning in 1984, and based around the husband and wife harmonies of founding members Ira Kaplan and Georgia Hubley, the addition of James McNew in the early 90’s put the band in a unique position where each of its members was now a potential singer and songwriter, making their music all the more diverse. They have scored films, appeared on numerous compilations. They even dared to take their already underground following to more obscure levels by creating a garage rock cover band known as “Condo Fucks” for everyone following along. With the recent release of Fade, their 13th official LP, the band seems to have created one of their most thematic and introspective records to date. But according to led singer Ira Kaplan that may or may not be the case. And while their records and live shows seem to many to be getting quieter in nature, Kaplan begs to differ here as well. All in all, his answers were often a bit obtuse and sometimes snarky, but it was a pleasure to speak to him nonetheless. After 30 years of doing press, who can blame him for having a bit of fun with the interviewer. I was lucky enough to interview Ira earlier this month and catch the band on their current tour as they recently rolled through Boston. After one quiet set, the band turned up the amps and shined with a sonic gleam reminiscent of their Electro-Pura Tour in 1996. If you missed Yo La Tengo on their current tour, you may find them opening select dates for Belle and Sebastian later this summer. So, can you tell me about the album cover? I could. What do you want to know? Well, where was it taken? It’s a pretty stupendous photo. Were these songs all made around the same time, or did you have some in your arsenal that you brought back up? They are roughly from the same time. When we started writing it, I don’t think any of them preceded it. Occasionally we will pull something old out that we started writing and we thought ‘oh that was kinda nice’ and work on it some more. But I think all of these started from scratch. I think they all came from over a year writing off and on– roughly the same time. Would you say that there is something that thematically links the tracks together? Many of the lyrics sound like a search for clarity. Well, I probably would NOT say that, but I could be lying. What does happen is that although the songs are written over a year, the lyrics are not. The lyrics are written very quickly. We tend to sing along in sort of nonsense kind of ways and even record the songs without lyrics and at the last second come up with them. Some of them we had lyrics for some of them before we started recording and because we had actually played “Ohm” live before. Literally, after sound check, but before the show, I finished writing the lyrics. And right before the show in Barcelona I had lyric sheets written for everybody and kind of practiced and made sure we had the phrasing down because we all sing on that song. It was a bit of a slightly ridiculous scenario. And with “Stupid Things” and with “Before We Run” which we wrote in our rehearsal space—and obviously we wrote most of the songs there—but we actually recorded them in our rehearsal space and brought them out to Chicago and did some more work, but we had completed versions of those songs with lyrics too. So, I think because of the speed and the concentrated space in which the lyrics are written, I think they end up talking to each other. But in no way is there a plan like on this record this is what we are going to write about or I’m going to write about. It just sort of takes shape the way it does organically, not with a concept put on it. I would have assumed that this record more than any other of your records had more of a thematical intention. As I said, I don’t discourage anyone from leading into it or projecting anything. That’s totally fine. I really don’t like to think too hard about where our ideas are coming from. I like to let them happen and let them be without investigating that much. But people who observe them otherwise, I’m not saying they’re wrong. There definitely seems to be more question asking and actual question marks in the sentences of these songs than previous records. It’s possible. I truly haven’t thought about that. The last couple of times I saw you, I would say the shows generally were quieter than usual. And certainly more quiet that when I first saw you in 1996. But after seeing you on Jimmy Fallon, it seems you were rocking out again. I’d be curious what the quiet shows you saw were. One was at the MFA a few years back and one was at the end of last summer at the Hopscotch Festival in Raleigh. Oh, and that seemed quiet to you? That seems interesting. It’s a funny thing like that. Things register differently with people. Over the years we’ve had people… I can remember an email sent to the band saying ‘All you did was play 2 hours of feedback’. And then I looked at the setlist and wrote back to this person and said ‘actually we did this and this, and did many songs that couldn’t remotely be like that. But nevertheless the set had left a perception of that. Which is also right if that’s how it registers. But sometimes we’re also not the best judges of those types of things as well. We think we create a balance and maybe certain things jump out more than others. What we are doing on this show is extremely different though, where we will essentially be our own opening act. So we do a first set of quieter songs and then the second set is louder. So it truly varies. At the Hopscotch Festival, I believe you said you didn’t have a title for the album and you would be accepting ideas from the audience. I would assume things like album titles are very important in the collection of songs—does this mean they are not as important to you guys? Well, we didn’t take any of the ideas. Of course it matters. But maybe something comes up that is better and we really like more than our idea. That was one of the reasons that we didn’t have a title is because it DOES matter and we had ideas and nothing was really resonating with us. Why did you decide to change your recording engineers from your longtime go-to to John McEntire [of Tortoise, amongst other things]? I don’t know. For whatever reason I think it’s strange that we had never even considered working with him before. I can’t believe it, but its true. So, once we the idea we thought it would be great and really interesting. And luckily our schedules matched up, and for both of us, that is hard to do. So I guess it made it perfect. Did you see a different effect or outcome with working with him? It was different, but on the other hand, each time we worked with Roger it was different from the time before, which is one of the reasons why we kept working with him. There was always an element of consistency and some other thing that made it fresh and different. In that regard it was obviously more different with John. Just because we’ve known each other a long time, that doesn’t necessarily mean the same thing as working with each other. It’s the same as anyone who had ever moved into an apartment with their friend and discovers how it can be. What is the reasoning and significance of the cover songs that you put on the 7” that came with the vinyl edition? Would you say that your overall band experience and journey has gotten easier or harder? It depends, some things get easier and some things get harder. It varies. You’ve done the “Freewheeling Yo La Tengo” in the past– and that allows for an open dialogue between you and the audience and what songs will be played. Do you still allow audience input, repartee and requests in your regular shows? From time-to-time…. We still do “Freewheelin’” shows from time-to-time still. We did one in autumn in Tokyo, which was out of this world great. One of the things that “Freewheelin” did was take a sliver of something we might do at a regular show over the course of an entire evening. We try to be open to whatever the moment calls for. Last night we were in Minneapolis and Reg Presley from the Troggs died. “With a Girl Like You” is a song we’ve played before in the past, so we already knew that song and did it in honor of him. That’s a sufficient tribute. We had a friend of ours from Minneapolis and brought him and his wife on stage who plays drums and we all played “Wild Thing”, which none of us have ever played before. What could be more appropriate to the Troggs memory than an inept version of “Wild Thing”?! Is there a conscious decision when you guys start out records with longer songs? It seems as though you have done that more in recent history. Or even longer songs in general over the course of an album? This time around we thought “Ohm” was a catchy song and a good way to start off the record. I think lyrically it set a tone for the record. I said we don’t write a record with a concept, but having finished it, we are not deaf to what is on the record. We thought the long song was a good way to set everything up. I know it’s something that we’ve done quite often, so it must be something that we find appealing about these long openers– but not always. Both Summer Sun and I Can Hear The Heart Beating As One started with short ones—but they are definitely outnumbered. Do you each write the songs that you are the primary singers on? Usually, but not entirely. On this record Georgia wrote “Cornelia and Jane” and I wrote all the other words. Did Charlie Sheen [the main guest on your recent Jimmy Fallon show] have anything nice or crazy to say? We had no encounter with him at all. It’s a big deal to be on that show and we had people from the record company there and good friends there and of course Fred [Armisen]. So we had enough of a circus going already in our dressing room that we didn’t need to venture far from it. Is everything okay with your health and whatnot nowadays? I hope so! I mean I think so. I mean we never know, do we? I’m sorry to ask, I just read that a little while back and was hoping its all okay. There definitely was a cause for concern and I’m definitely dealing with it. But these things are out of our control– no matter how many pills we take to try to gain control over it.